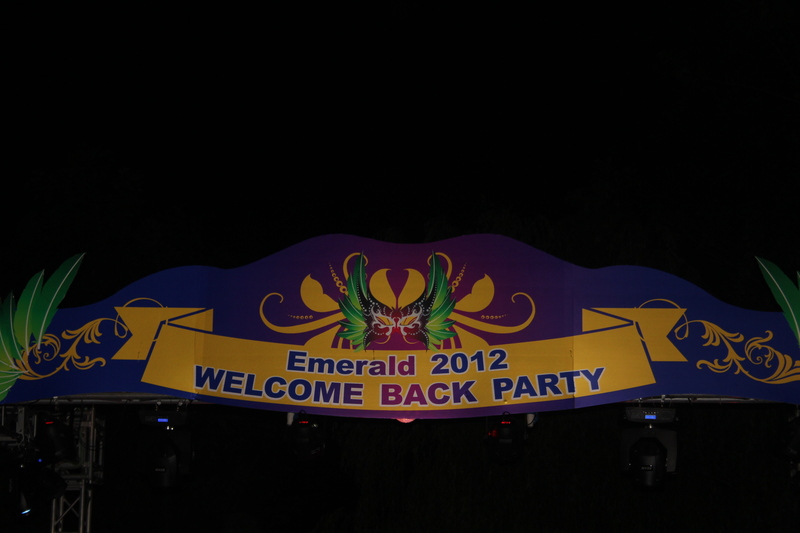 Tonight was the Emerald “Welcome Back” party. The welcome back is to all the Ex-pats who left over the summer and to welcome all the new arrivals who came in over the summer. The Ex-pat life is very transient and there are always people moving in and out of our neighborhood. 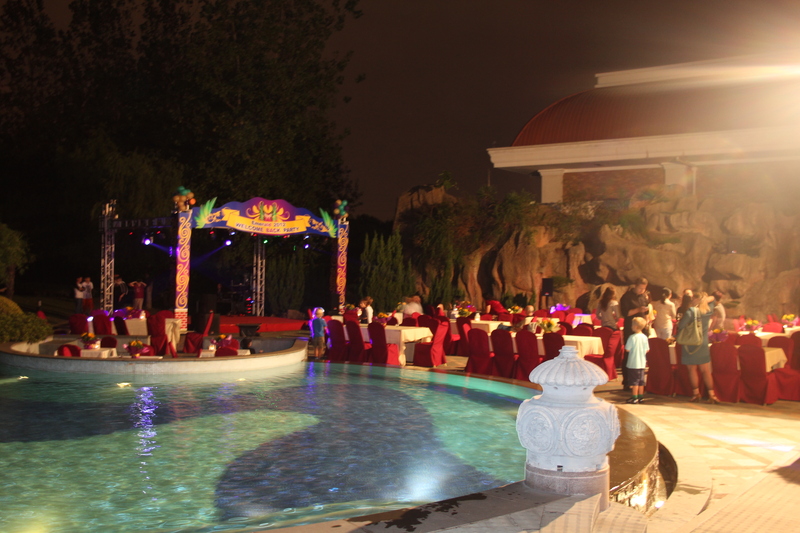 The party was held at our Clubhouse Function room. It started at 6.30pm so I rushed home from work so I could be there early! Isabelle was all dressed up in her party dress while Oliver couldn’t care less about his outfit! 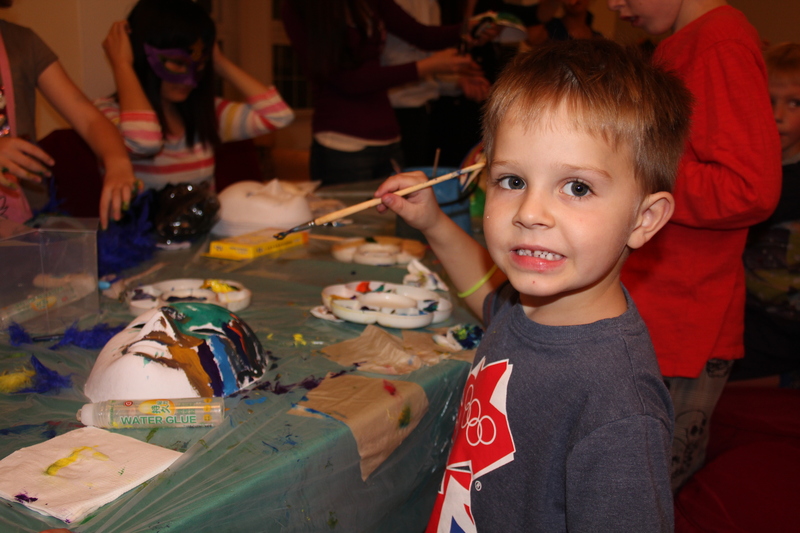 The set up was wonderful with face painting and mask painting for the kids (it was a masquerade party, after all!) singers on stage and a dance performance. The food selection was wonderful with Western and Chinese options – I tried a little of everything. The company was also wonderful – lots of neighbors who I had not met, lots of neighbors that I already knew and everybody socialising over a few alcoholic drinks!! 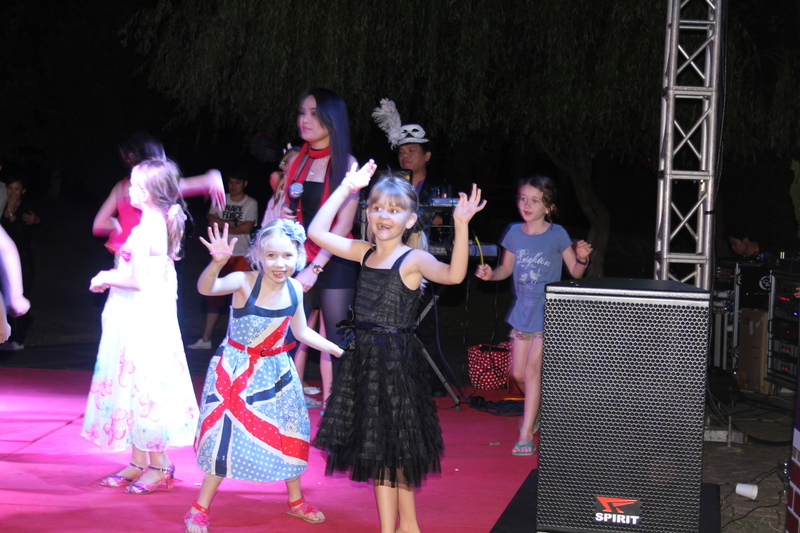 The kids were in heaven – all their friends were there, they were upstaging the singers on the stage, getting faces painted, creating masks and generally running around freely. We were home before 10.00pm as both our children had hit the wall and needed their beds! 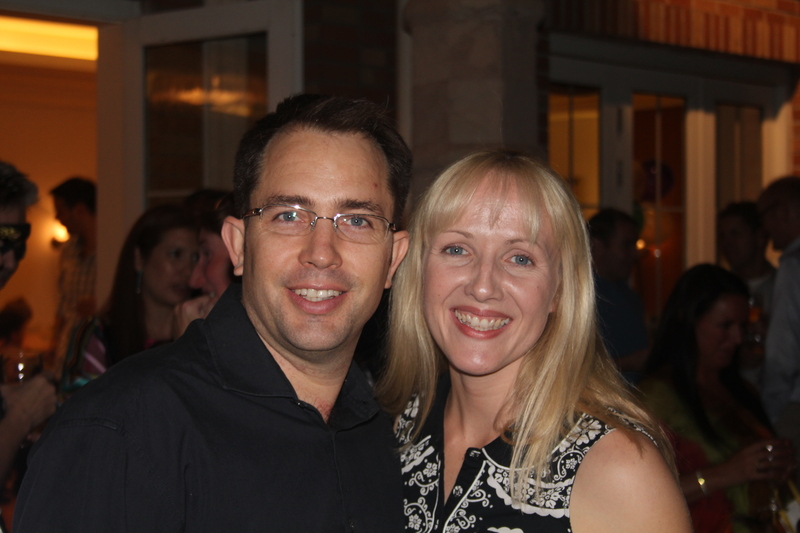 But, it was lovely to be at a party, outside in the cool Autumn evening, with people thrown together by circumstances and still getting along! Emerald, outside Clubhouse. Yes, a lot of the kids ended up in the pool!! 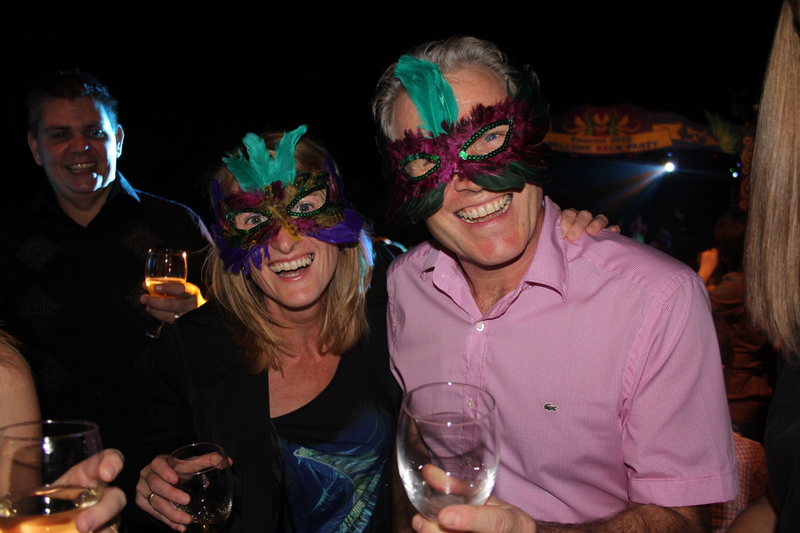 Jenny and John with their Masks at the Masquerade Ball! This entry was posted in Uncategorized and tagged Emerald, Party. Bookmark the permalink.